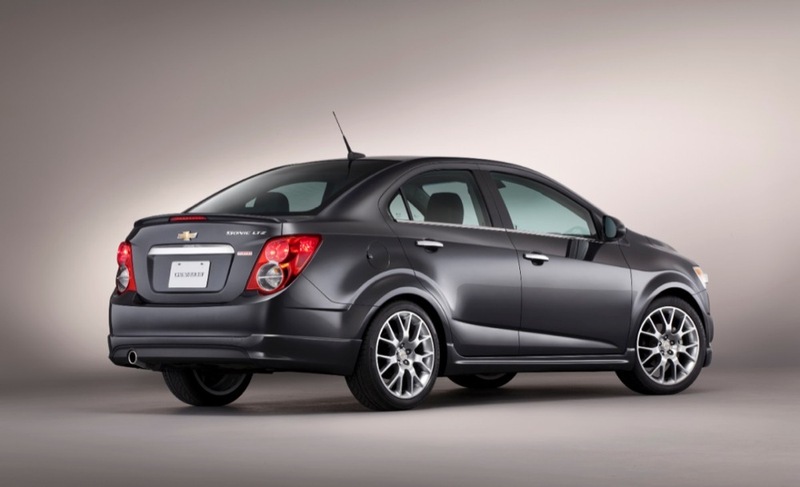 This Is The Chevy Sonic Dusk, And It Is Going To Be Produced! Last year, Chevy showed a concept version of its Sonic subcompact vehicle called the Sonic Dusk. 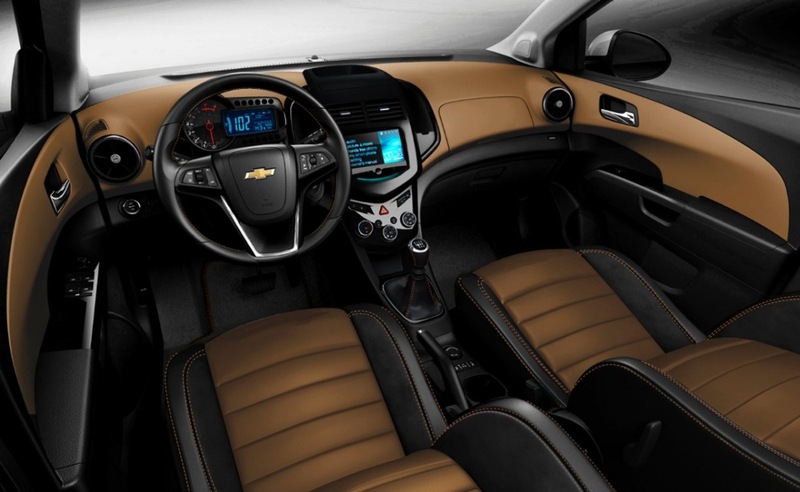 The vehicle received a ton of positive reactions, proving to Chevy that buyers want a more refined subcompact vehicle with a higher degree of sophistication. The Sonic Dusk will join Chevy’s sporty interpretation of the Sonic RS. Just like the RS, the Dusk will continue to be powered by the now-familiar 1.4 liter turbocharged engine rated at 138 horsepower and 148 lb.-ft. of torque (made between 1,850 RPM and 4,900 RPM), mated to either a manual or automatic six-speed transmission. It seems that Dusk is a higher trim level than LTZ, although it is not specifically a trim level in and of itself. But we welcome Chevy’s desire to have unearthed and then move to meet the demands of a unique market sub-segment, something they seem to continue to refuse to do when it comes to compact performance vehicles. In addition, could it be that the Chevy Cruze Upscale concept is another luxury interpretation of a similar idea as the Sonic Dusk, but for the Cruze? This is a very nice car, and I’m glad it;s being made. However, it lends credence to my theory that the Sonic and Cruz need to converge into a single car that is sporty and compact. The Still, great step and looking forward to seeing where it goes. Disagree. I don’t think there is any value in merging 2 cars in 2 different segments into one. Both seem to have hit their respective marks, maybe not as much for the Cruze, but I doubt both cars are going to sell more units if they were merged or make to look “sporty”. What’s the point of combining vehicles that are valued and purchased for entirely different reasons? There’s a reason vehicle classes exist the way they do today; it’s the same reason that all automakers have a subcompact and compact offering of at least some kind. 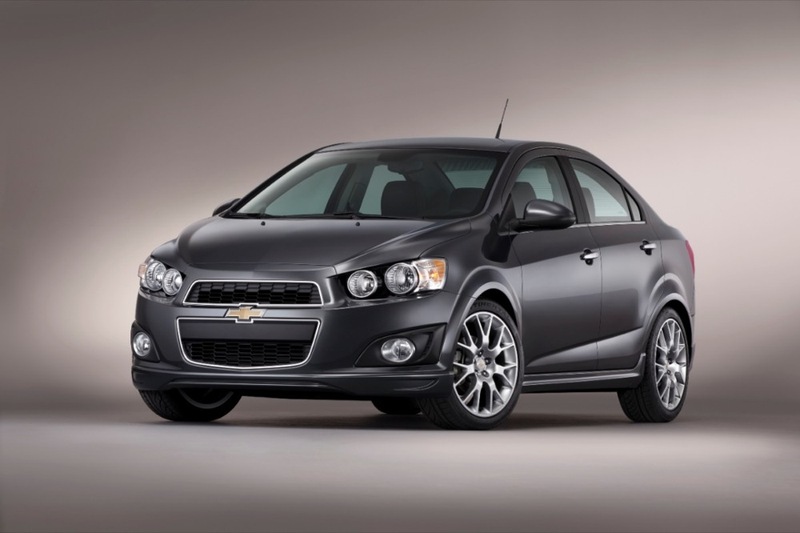 I see no value, rhyme, or reason for merging the Sonic/Aveo and Cruze into a single model… none at all. I agree with you, Richard. There needs to be a performance variant of this car, not just body changes that make the car pretty. But I don’t think a Sonic with that much power will ever make it to production. I’m typically the type that goes for more expensive cars just because I like the looks and the features. Throw in heated seats, self-dimming rear and side driver side mirror as well as heated outside mirrors, and I would be sold on this car. Even with it’s tiny under powered engine. I forgot to add, throw in Bose or Sony speakers. Something better over the standard Audio. I still cannot comprehend why Chevrolet isn’t working on a Sonic or Cruze with the 2.0T engine available in the Malibu. With the RS suspension package, that would make a great ride, for sure! Marc — having driven the Focus ST with its 260 horses, a 2.0T in the Cruze would be a perfect compact performance car, but it would be way too much for the Sonic. I know this was back almost a year ago, but I think there should be a Sonic SS and a Cruze SS. The Sonic SS having a H/O 1.8L Turbo I4 (VVT, iVVL and SIDI) with 240HP and 270LB-FT and the Cruze SS having a 2.0L Turbo I4 (VVT, iVVL and SIDI) with 265HP and 300LB-FT.
I4’s all have VVT, iVVL and SIDI. V6’s all have VVT, SIDI and AFM. All engines are standard on each trim level, but engines from other trims are available as options. Traverse, Acadia, Enclave and LRX (Cadillac, whatever they call it). Marc…..the Cruze and Sonic doesn’t get the 2.0L Turbo because it would venture into the Verano/base Regal category (both in price and performance) and GM doesn’t want to get criticized for “cookie cutting” vehicles again. Plus, there needs to be a reason to charge more for the Buick versions. The Cruze in Europe is getting the new 1.6L Turbo which I am sure will be on its way here very soon. DPach- Yes, I guess that makes sense, although doing a Sonic SS wouldn’t compete with anything from Buick and would offer a really hot package- very, very light with 250+ hp. The Verano turbo looks quite solid, though I’ve read that a bit more in the suspension would be nice. Guess I’d better keep the ‘Vette, right? I think this car looks nice but I think that the rear spoiler and exhaust tip looks a tad-bit tame. With the ground effects and the wheels that resemble the “BBS” look along with the lowered look (not much air gap in wheel well area) I don’t think that it “needs” the chrome treatment at the beltline or on the door handles as I think GM wants to come across here as a viable looking “sport” sedan for any age person. It would be nice (nicer) if this sedan had a better engine under the hood as I would rather have it with the 2.0L Turbo or 2.4L Ecotec 180 HP non-turbo with a 6-speed manual trans. Last but not least I think that the Sonic and Cruze should remain separate so that their “Teams” can make their product better and compete with whoever….it’s no different than Camaro SS or ZL1 buyers versis Corvette buyers so long as GM gets the sale instead of the competition out there …the bottom line here is that GM gets the buyer to sign on the dotted line. Let’s be real this car with about 180 to 200hp would be fine and more HP than any of us would need. The Cruze with 200 to 230 would be all that was needed for a sports version. Yeah all show and no go!!!! Come on I don’t care what you call a car dusk,musk whatever. We need more go than show. Put a decent engine in your smaller cars GM, and maybe an SS badge to go with it. I still remember the SS cobalt ( not the crappy supercharged model) but the turbo 2.0,with the front Brembos ( Crappy plastic interior) but dam it moved and handled well!! I’m still waiting. Dam just bring an Astra GTC and I will buy it tomorrow. Maybe I will have to wait for another bankruptcy to have my wishes come true.